A week long summer camp for 7th graders at Girard College, Philadelphia, a school for disadvantaged minority students, has been established. The program was set up using the Logic Model and conducted by Dr. Eva Campo. 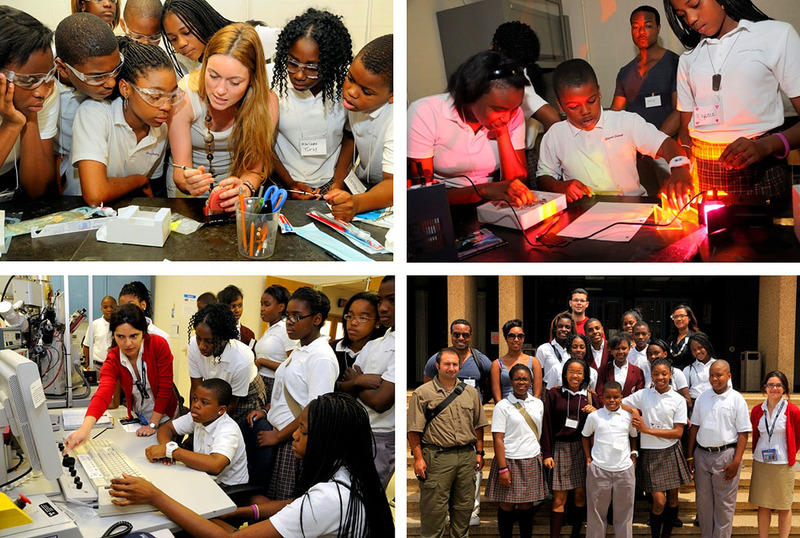 The first camp, in June, 2011, provided students with science exposure through optics, electron microscopy, energy (solar and nuclear), physical properties of materials, and robotics, using hands-on activities. This program was established for young minority students to foster an interest in science. The first class of 12 students was 67% female.